Princeton University Press, 9780691167695, 72pp. In her new collection, Fiona Sze-Lorrain offers a nuanced yet dynamic vision of humanity marked by perils, surprises, and the transcendence of a "ruined elegance." Through an intercultural journey that traces lives, encounters, exiles, and memories from France, America, and Asia, the poet explores a rich array of historical and literary allusions to European masters, Asian sources, and American influences. With candor and humor, each lyrical foray is sensitive to silence and experience: "I want to honor / the invisible. I'll use the fog to see white peaches." There are haunting narratives from a World War II concentration camp, the Stalinist Terror, and a persecuted Tibet during the Cultural Revolution. There are also poems that take as their point of departure writings, paintings, sketches, photographs, and music by Gu Cheng, Giorgio Caproni, Bonnard, Hiroshige, Gao Xingjian, Kertesz, and Debussy, among others. Grounded in the sensual, these poems probe existential questionings through inspirations from nature and the impermanent earth. 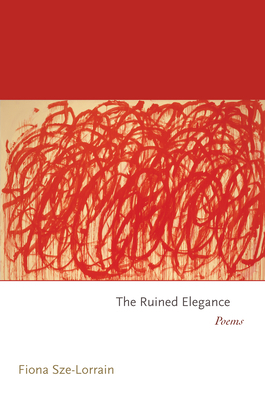 Described by the Los Angeles Review of Books as "a high lyricist who refuses to resort to mere lyricism in order to articulate her experience," Sze-Lorrain renews her faith in music and poetic language by addressing the opposing aesthetics of "ruins" and "elegance," and how the experience of both defies judgment. Fiona Sze-Lorrain is a poet, literary translator, editor, and zheng harpist. The author of two previous books of poetry in English, "My Funeral Gondola" and "Water the Moon," she also writes and translates in French and Chinese. She lives in Paris.